Scream is a 45′ centre-cockpit cutter rigged sloop, custom designed by Stan Huntingford and built in 1980 by Schmidt Boatworks in Sidney, BC, Canada. 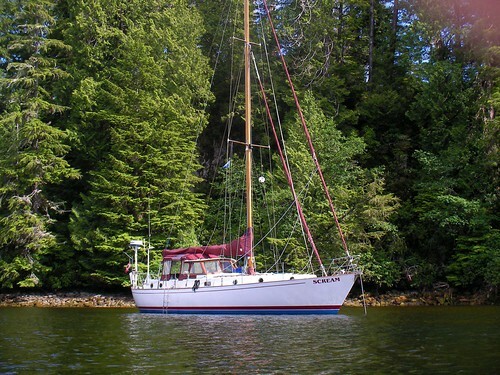 She has a fibreglass hull, a wooden mast and is powered by a 64 HP Perkins deisel engine. Steven and Darusha bought Scream in February of 2007, moved aboard full-time in October 2007 and have been sailing and traveling since 2008. All three are currently located in Wellington, New Zealand.